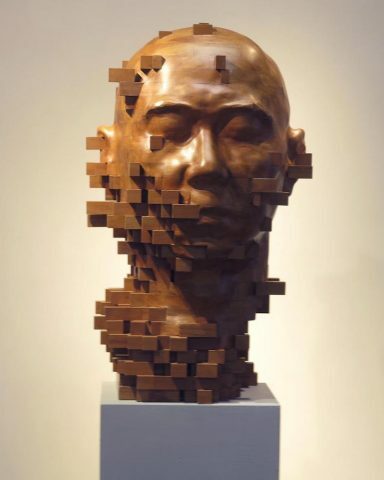 Dynamic Pixelated Wood Sculptures Are Contemporary Masterpieces #ArtTuesday « Adafruit Industries – Makers, hackers, artists, designers and engineers! 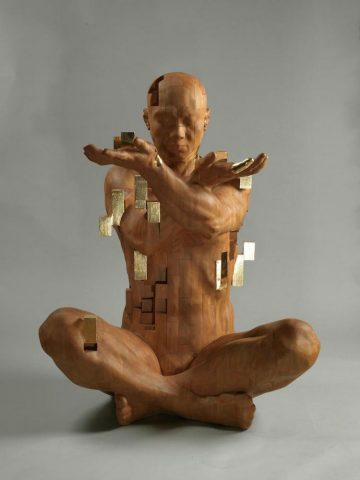 The wood sculptures of Hsu Tung Han are dynamically fashioned pieces of fine art. 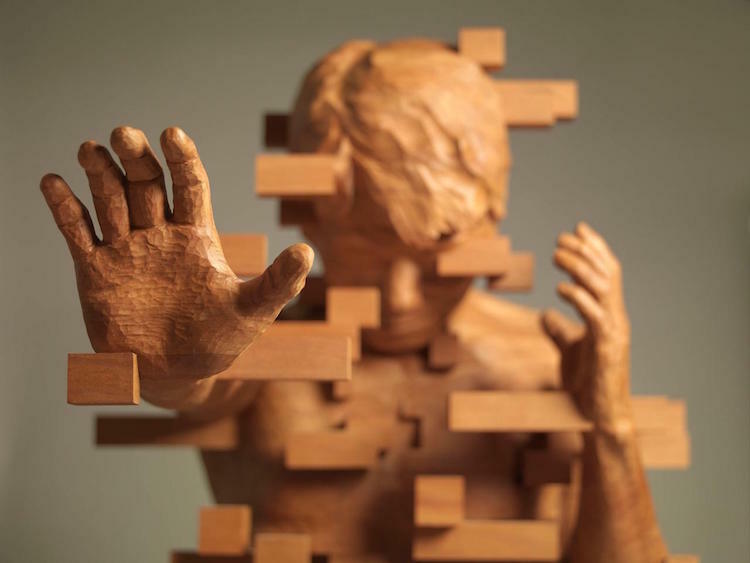 The Taiwanese artist is a master of puzzling together pieces of wood into unbelievable figurative sculptures. This contemporary sculptor thinks of his work as a puzzle, carefully laying out each piece in preparatory drawings and clay models. Then, strips of walnut, teak, or African wax wood are joined together and worked over meticulously. The highlight of Han’s work are the “pixelations” that appear throughout each figure. Using positive and negative space to great effect, the wood blocks either push or pull. This gives his figures a dynamism that seems to set them in motion. Whether they appear rushing forth or tranquilly pulled apart, each wood sculpture is a masterclass in how artists can manipulate a medium.